Psst… Got a second? I’d like to let you know of an exciting property market location which is the second biggest regional city in its state, is the principle service centre for a region which is in close proximity to large and very valuable reserves of natural resources, it has critical deep sea port infrastructure in place, one of the highest rental yields in the country, its historical return on investment is close to double that of the capital city average, and a property entry price of $300,000. Want to invest there? Every single word in the above opening paragraph is true, although – intentionally – the name of the location isn’t mentioned. If I said it was a bayside suburb in a capital city the odds are that this would instantly become Australia’s biggest hotspot. Now that I reveal that it is the South Australian regional city of Whyalla many people reading this will suddenly become uncomfortable. I can think of no better example to illustrate how emotionally-based perceptions, as opposed to solid research and logic, get in the way of property investors standing to make the most of their hard-earned money. Whyalla is actually a steel manufacturing town (18% of jobs are in metal manufacturing). It services inland mines (lots of them). Whyalla is a seaport located on the east coast of the Eyre Peninsula. Tourism is a small secondary industry. Mining giant, BHP, established Whyalla in 1901 to facilitate the transport of iron ore from mines in the state’s north, via sea, to processing plants. A blast furnace was constructed in the 1940’s and Whyalla’s reputation as the ‘steel city’ grew. Through the 1940s, 1950s and 1960s, Whyalla’s population expanded rapidly and governments began planning for a 100,000 population. Shipbuilding had become the main industry until international competition forced its closure in 1978. The steel plant has evolved through peaks and troughs under BHP, then One Steel, and now Arrium. The one constant has been its status the biggest employer. A mineral exploration boom unfolded throughout the last decade resulting in increased population. 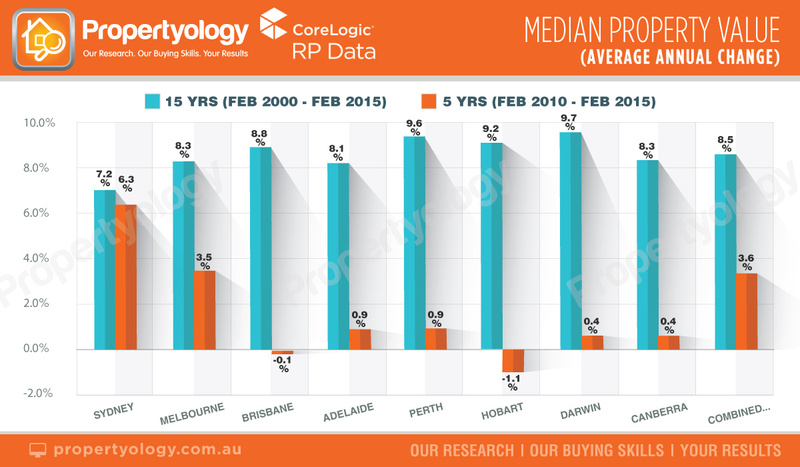 In 2000, an educated property investor would have paid a mere $80,500 for a house in Whyalla. An outer-suburbs capital city house back then would have cost $100,000 more than that. Over the next fifteen years Whyalla produced solid growth (an average of 9.5% per annum). The capital city average over the same fifteen year period was considerably less (7.3% per annum) and included 3-4 years of negative growth. Do you want to re-evaluate that earlier comment about “risk”? Perhaps, you might be starting to see my point about “perception” and lost opportunity. The infrastructure in Whyalla is well established; as one should expect of a century old city with 22,000 people. University of SA has a campus in Whyalla, offering programs such as business, health, and community services. Daily flights to Adelaide are available with Regional Express; Qantaslink is also looking to service the region from 2015. Three hours north of Whyalla is Olympic Dam. Opened in 1988, Olympic Dam holds some of the biggest reserves of copper, gold, uranium, and silver in the world. State and federal government approvals were granted to BHP for a $30 billion expansion in October 2011. In September 2012, BHP suspended the project, although it is widely expected that a scaled-down expansion will proceed at some point. Whyalla already has deep sea port infrastructure at Port Bonython which is very likely to come in to play when BHP eventually find the most viable development model. When it does, Whyalla’s property market will, yet again, perform much stronger than capital cities. Whyalla’s property market is currently flat. Then again, so are most markets across Australia. An investor could buy a solid 3-bedroom house in Whyalla today and get change from $300,000; rental yields are over 6%. Risk? I’d suggest there is considerably more risk investing in an inner-city apartment in Sydney or Melbourne. But, then again, I guess that depends on whether one bases things on perception or solid research and logic!